Pace Orthopedics was the first sports medicine specialty practice in South Jersey and continues to provide a unique level of personalized care unmatched by any other group in the area. Injured or in pain? Get back in the game faster. Call today to schedule your next day appointment! PACE Orthopedics was the first sports medicine specialty practice in South Jersey and remains a boutique practice that strives to provide a unique level of personalized care unmatched by any other group in the area. 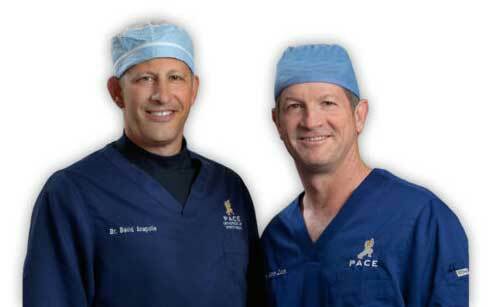 Our physicians, Dr. Glenn Zuck and Dr. David Anapolle, are Board Certified and Fellowship Trained in Sports Medicine. Dr. Zuck trained with the Philadelphia Eagles and Flyers and Dr. Anapolle trained with the US Ski & Snowboard team. We are committed to the belief that the same quality care provided to professional athletes be available to athletes of any level and age. PACE Orthopedics uses the latest technology and state-of-the-art equipment to guide patients through treatment and customized rehabilitation for complete recovery. You may reach us at (609) 927-9200 to schedule an appointment or for any questions. PACE Orthopedics is the foremost leader in Southern New Jersey treating sports related injuries, overuse injuries, and general orthopedic conditions. Whether you are a professional athlete or just enjoying staying active, our fellowship trained physicians specialize in the prevention, diagnosis, treatment, and rehabilitation of injuries related to sports or other physical activity in the South Jersey area. At PACE Orthopedics, we offer a wide variety of conservative and surgical options and procedures for treatment of a variety of orthopedic ailments in the South Jersey area. My family and I have had the best experiences with Dr. Zuck! We could not thank him enough for all the time, care, precision and love he has taken with myself, my brothers and sisters. He is also a role model to many people and has helped my family in more ways than one. He hopes for the best in everyone and we are very thankful to have him! Best doctor of any type in the world! Thank you Dr. Zuck for everything you do for my family and our community as a whole! We really appreciate it! I am so happy I chose to go to Pace Orthopedics! Dr. Anapolle is an amazing doctor who did extensive arthroscopic surgery on my rotator cuff and within 4 days post op I’m off pain meds! He’s so personable and explained everything in great detail. The office staff is very professional and friendly. I highly recommend anyone needing any orthopedic care to go to Pace and see Dr. Anapolle & Dr. Zuck & Alyssa PAC! You will be very happy you did! The entire staff there was incredibly helpful and hard working. I was desperate to get an answer/diagnosis as soon as possible since I have a marathon in just 3 weeks. They really went above and beyond to make that happen. Highly recommend to both athletes and anyone dealing with an injury! So thankful that Pace Ortho was able to see my son today. Many practitioners in the area will not see small children. My son is 2 1/2 years old and has a fractured foot from a fall on New Year’s Eve. I was told that I would need to go to CHOP in Philly. Without hesitation, I called Pace as I received many recommendations from friends. I received a same day appointment and was greeted by friendly and knowledgeable staff. Thank you, Dr. Anapolle! My family and I have all used Pace Orthopedics over the course of our injuries. The office is consistently professional and efficient. Dr Anapolle is extremely knowledgable as well as patient and compassionate. My mom had knee surgery less than one year ago and is back to her daily workouts feeling better than ever! She’s even doing two A days filled with spin, bootcamps, yoga, etc. I highly recommend pace orthopedics! Pace orthopedics is awesome. Dr. Zuck did an amazing job fixing my shoulder after a car accident. He is a surgeon that has great skill and a big caring heart. My results exceeded my expectation. Thank you so much Dr. Zuck.